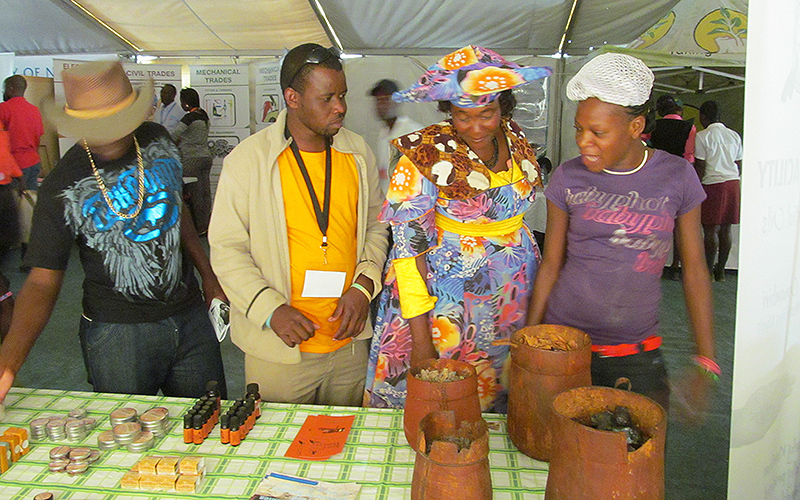 From 26-31 May 2014, OPF had a stand at the Opuwo Trade Fair for the first time. 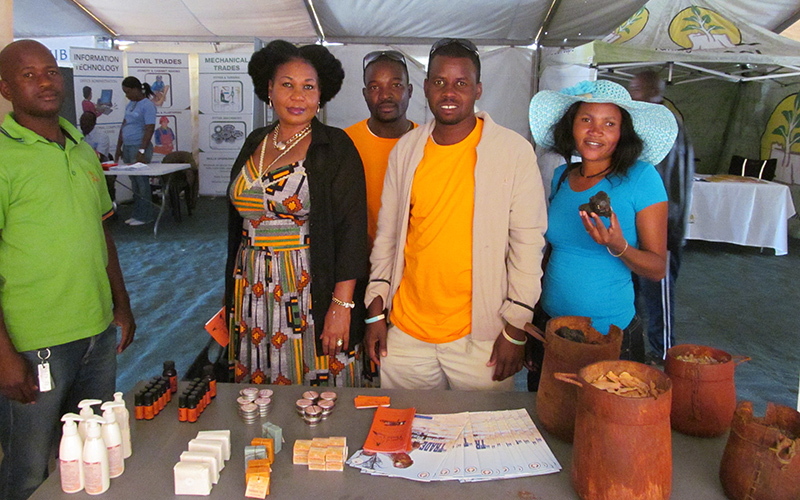 Over N$4,000-00 worth of products and oils were sold throughout the week, but the community awareness was the most valuable part. The OPF employees had a chance to show off all of their hard work and explain to all the local Namibians what exactly OPF does. Many people showed lots of interest in the stand and kept coming back to smell more of the products. 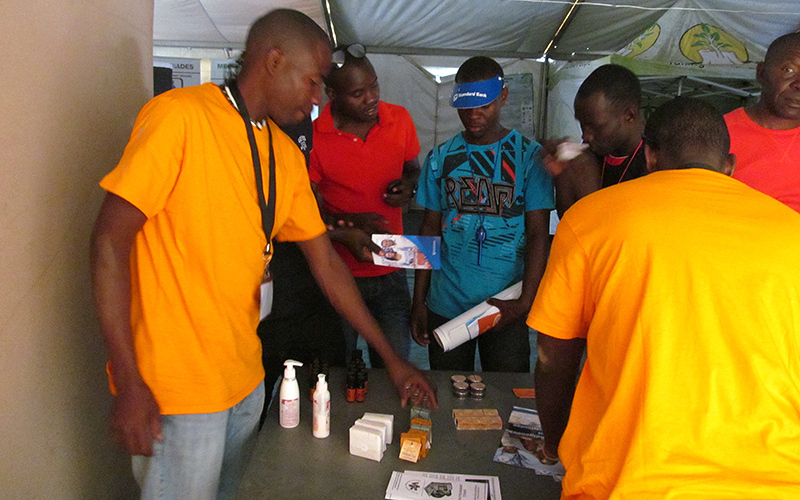 Also, at the trade fair, our new employee Katjiu was trained and welcomed to the OPF family. 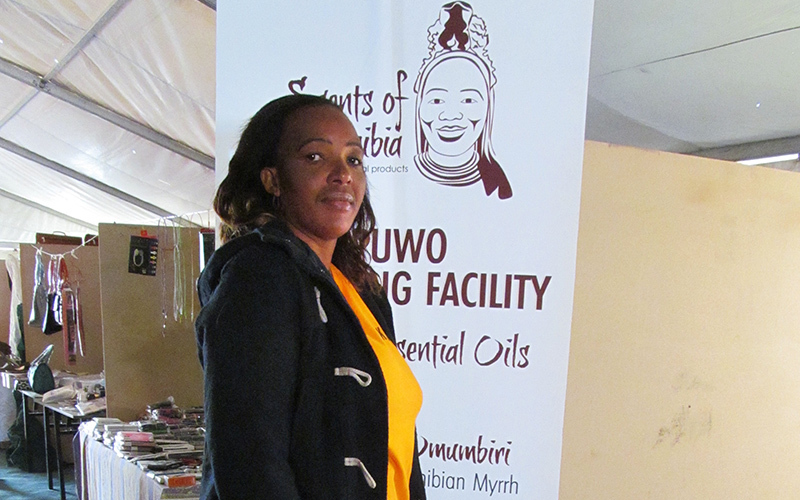 Katjiu is from Opuwo and will be the new Scents of Namibia Visitors Centre guide and manager. Welcome to the team!